Ordering custom made orthotics from Dr Insole is a straightforward process that offers exceptional quality and value for money. Our approach allows us to focus on each customer’s exact requirements, with no work outsourced to third parties. We offer bespoke quality and attention at reasonable prices. Our consultations are free of charge and with no obligation to buy, and include gait analysis. If you order a pair of insoles, there are no further fees for fittings or adjustments on top of the quoted price. A pair of insoles is usually ready in ten days, with an express service available for those who require orthoses urgently. Our expert specialist will see you free of charge at our North London shop or at home in the London area for £49, for a comprehensive assessment. 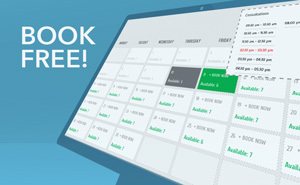 You can also book over the phone on 0203 074 1956. Gait analysis allows us to examine your gait cycle in detail and determine the type of orthoses you require. A carbon print will be taken for reference, its gradations revealing the pressure distribution on the soles of your feet. Our specialists are able to interpret this data to design just the right orthotic insole for you. 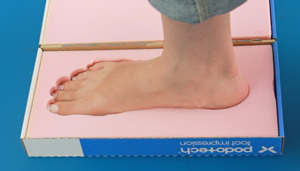 An impression will be taken of each foot using a foam impression device. The impression is filled with an expanding resin that sets to form an exact mould of your feet, which is the closest possible representation of your foot and far superior to other methods of measurement. Using the data gathered during the consultation, and working from the experience of making hundreds of insoles by hand, the cast will be finely adjusted so that the final insole provides support where needed. For example, if you suffer from flat feet, a slight arch will be carefully worked into the cast. This gives us a precise and tangible model to refer to for the rest of the process. The next step is to sculpt the insole material around the cast to form the basic shell of the orthoses. We use an EVA and cork compound, an ideal combination for both support and comfort. Our unique composite construction, using cork of different densities, allows us to refine the amount of support given to different parts of the foot. Further adaptations are made for complex conditions, all by hand and with meticulous attention to detail. 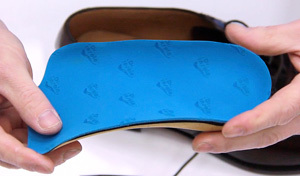 The final step is to apply a lining to the top of each insole. This cover is chosen to suit your particular needs, and offers a comfortable point of contact between the sole of your foot and the main body of the orthosis. Dr Insole is a family business built on a legacy going back to the 1940s. From the renowned Andrews shoe company to the current generation of insole makers, we have always emphasised traditional craftsmanship and attention to detail. While our process makes use of modern techniques and materials of the highest quality, everything we do is informed by a wealth of experience that has been passed down through the years. Our approach is quite different from that of many other insole manufacturers, and we believe that this allows us to create a superior product and a more positive customer experience. Bespoke services are not usually associated with affordable prices, but Dr Insole is the exception. Thanks to the efficiency of our London workshop, and the fact that the entire process is carried out in-house, we are able to keep prices low without any compromise on quality of materials or fabrication.